Envisioning a New Teaching Kitchen at the UC Berkeley School of Public Health | Eat.Think.Design. In Spring 2016, Nigel Manuel, Marina Fisher, and Howard O worked with the UC Berkeley School of Public Health to envision a teaching kitchen in the new School of Public Health Building. When we began our Eat.Think.Design class, we weren’t told exactly which project we would get until after a matching algorithm placed us based on preferences. Little did we know that a team comprised of an MBA student, a Public Policy and Public Health double major, and a Journalism student would come together to make up Team BTK: Bitchin’ Teachin’ Kitchen. Our mission was to research and create a financial model for a restaurant/teaching kitchen space in the new School of Public Health building, currently being built in Berkeley. After meeting with our clients and discussing our scope, we had our work cut out for us. Over the next few weeks, we would meet in the Goldman School of Public Policy and discuss the details of the project. What did School of Public Health need? How could we help? What was the right answer? We came together as a team and then split up to do research, make sense of our findings, and reconvene to work out a solution. We were getting to a point where we had all the research and information we needed to do an initial report. Two events broke us out of our research/writing cycle: a lecture on delight, and a virtual visit from a social media food sensation. The lecture on delight reminded us that while it is easy to get bogged down in details, we should never forget that bringing delight should be a part of the service. Ida Skivenes (@idafrosk) is a popular food art blogger on Instagram. She spoke to our class via Skype about her art process. 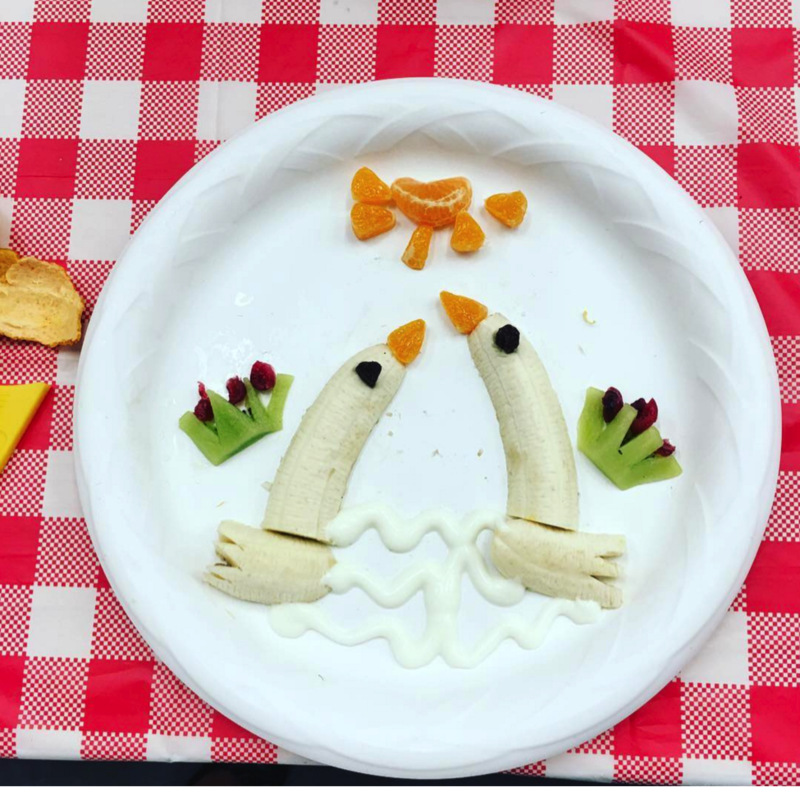 Our class session for prototyping followed these two events and tasked with coming up with a prototype, we decided to create a teaching kitchen that focused on how to use food to make art reminiscent of one of Ida Frosk’s designs. It was a hit! In addition to it being a fun experience, we also gathered valuable data. For example, we had participants bid on how much they would pay to do the activity. The three highest bidders participated in the demonstration and received help from the instructor. The next highest bidder had to watch via teleconference. (We accomplished this by setting up a Google Hangout station outside of the classroom in the hallway and bringing the ingredients to that student). The other bidders didn’t manage to win one of the experiences we had set up and were asked to watch instead of participate. That taught us a lot about pricing that we hadn’t previously anticipated. The demonstration also gave us something to think about in terms of physical design of the space. Our digital participant had a hard time hearing us with all of the noise in the room and also had a difficult time seeing us. Did we need to provide a microphone to our instructor? Did the camera need to be included in the set up of the space? Questions like these arose. We discussed them at our next meeting and it seemed as if that was the starting off point for our final deliverables, which included a detailed report and presentation delivered to our clients and a modified presentation given to the crowd at Innovation Feast. We also got a chance to repeat the teaching kitchen at Innovation Feast, and the results were both helpful and delicious. Planning a pop-up teaching kitchen for the Eat.Think.Design. class session on prototyping was a nice way to remind us that at the most basic level, our project should not just be about numbers and recommendations. The best iteration of a new teaching kitchen should focus most on the customer, the education they receive, and of course, the food!